We are big fans of days out at the weekend or during the holidays as a family. Both my husband and I work a lot and the boys have a lot of football, so we like to make the most of the days together. 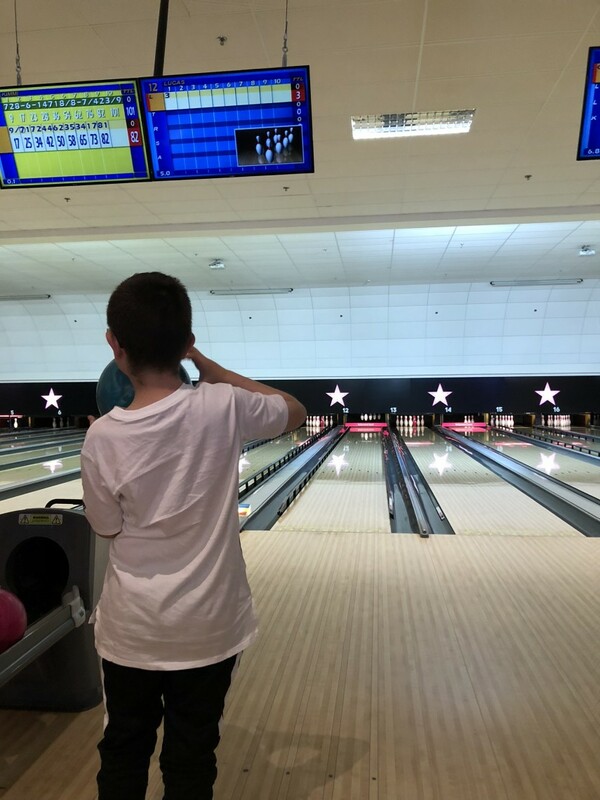 One of our favourite days out is to ten pin bowling. 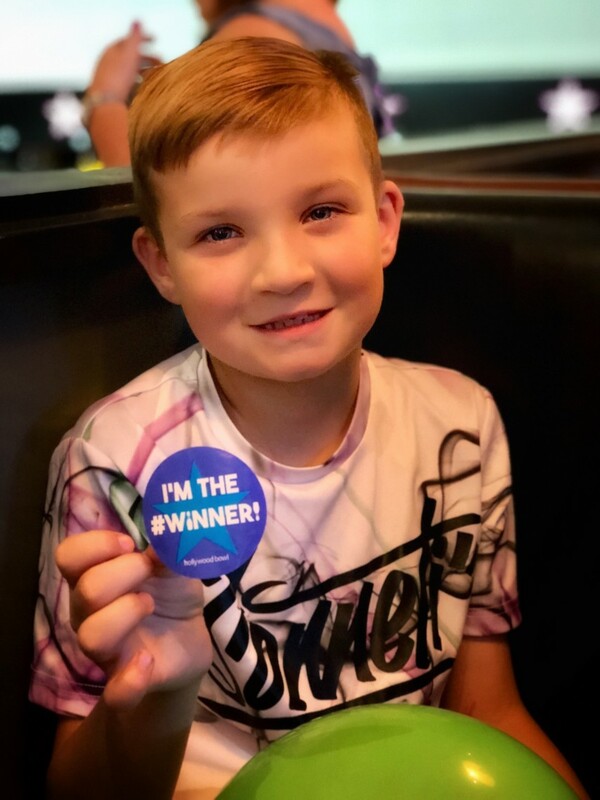 Not only is it a lot of fun, but it is great for all ages of the family. We range from 11-5 and it’s great for all of them. So, when the new Hollywood Bowl opened out in Dunfermline, we couldn’t wait. It’s not our closest one, but it was worth the travel. Plus we get to cross the big bridge so that’s always fun. When you arrive at reception you check in or book in if you haven’t booked online in advance. It is well worth doing, especially at the weekend or holidays when it can be busy. It is simple to book in, then you got to your lane and enter your details on the screen. One of the great options here is that you can choose whether or not to have the bumper up depending on the player. This is ideal for a variety of ages playing. The two younger kids had the bumper up and the other three didn’t. It does it automatically and helps a lot when they are getting used to bowling. Wearing flat shoes means that you don’t need to wear bowling shoes any longer unless you are like me and always in heels. I had to wear the two colour bowling shoes. 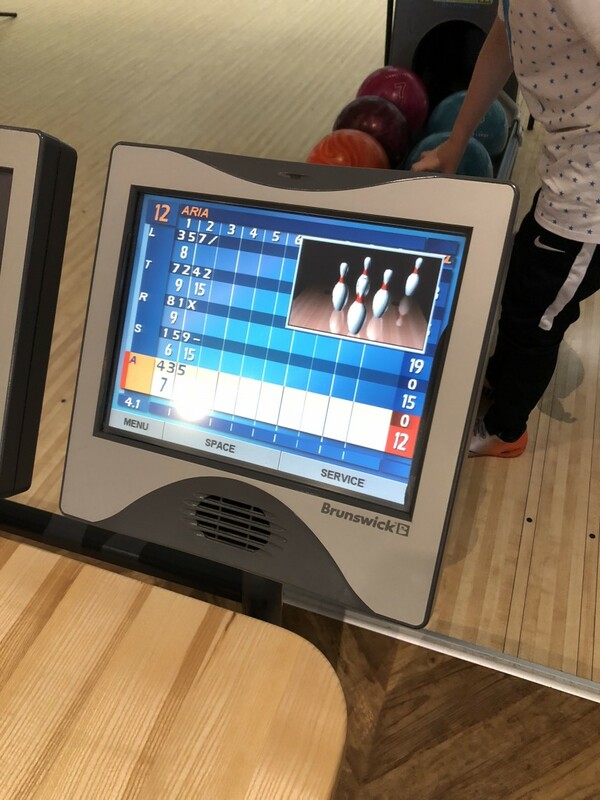 Next up is choosing the correct bowling ball. I just love all the colours, they look so good and shiny. There are various different sizes of weight and hole size. There are loads at the end of the lanes too if you don’t find the one you like. 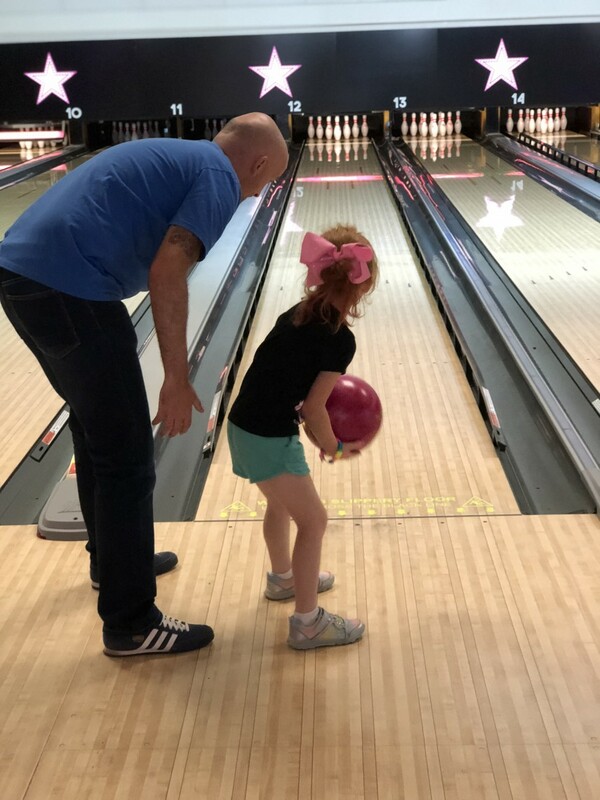 It can be a little tricky with little ones, but it is advisable to get an adult to help out and support when carrying the ball. 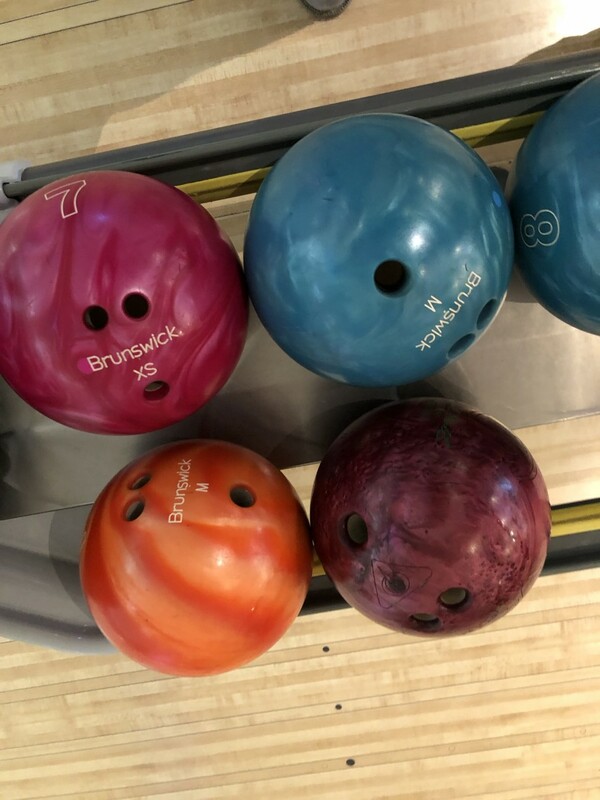 There are stands that younger bowlers which allow them to roll it down without having to support the weight of the ball. I’d still recommend an adult helps them with this. Also, make sure you don’t cross over the yellow line onto the lane. It’s slippy and it is classed as a foul. 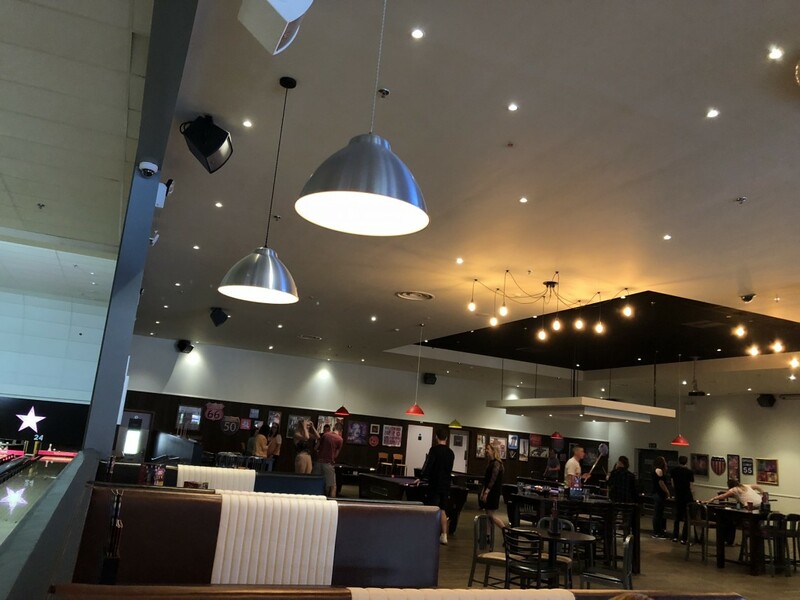 There is plenty of room between lanes and the booths have two sides for two bowling parties to use, but means you are not encroaching on each other. I think it looks fab and it’s not too noisy either. 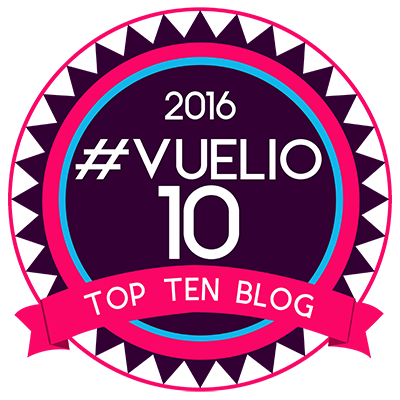 The object of the ten pin bowling is to knock all the pins down with each of your 10 opportunities per game to get a strike. If you throw a strike, woohoo, then you have knocked down all your skittles. 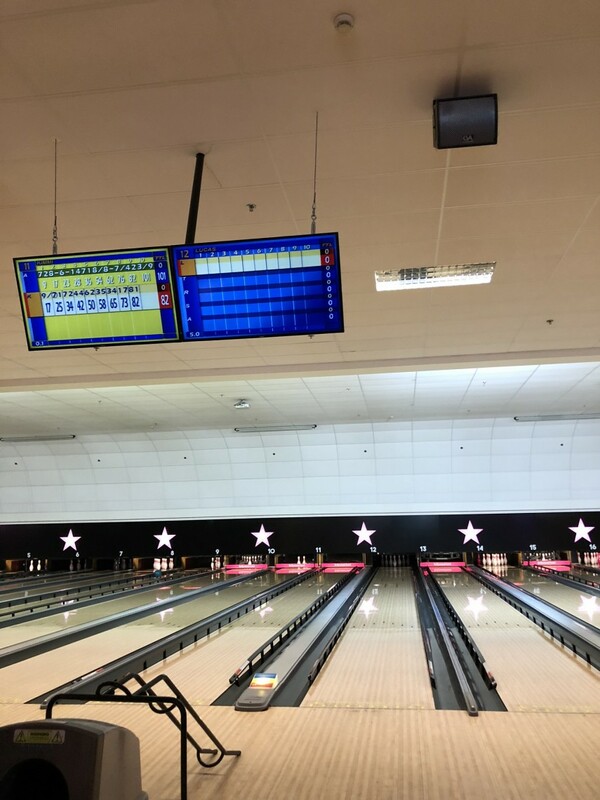 If you only manage to knock some of the pins, you get a second chance to try and get the rest. If you get them all down in the second shot, it is a half strike, again woohoo. The kids just love it and with it can get a bit competitive when hubby is around. The kids just enjoy the fun of it. Another perk of Hollywood Bowl is having drinks delivered to your table. 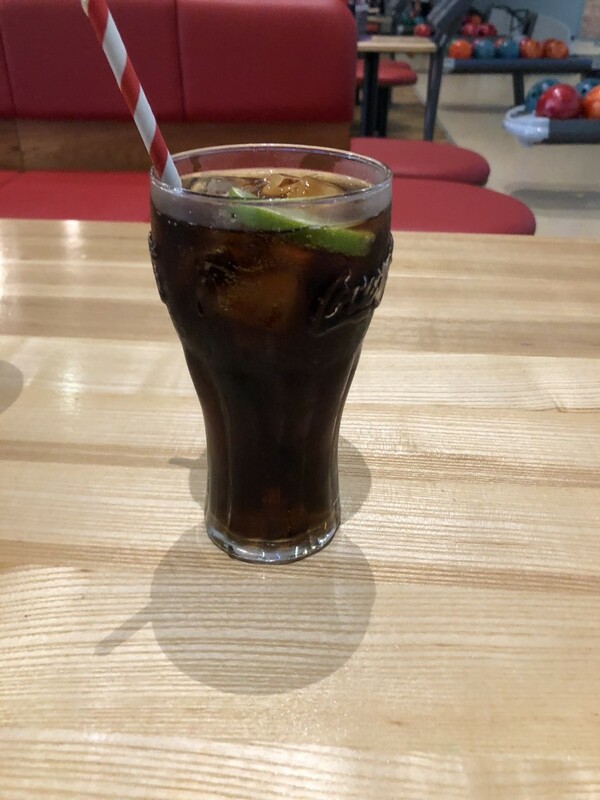 There is a wide range to choose from and it can be quite thirsty work ten pin bowling. 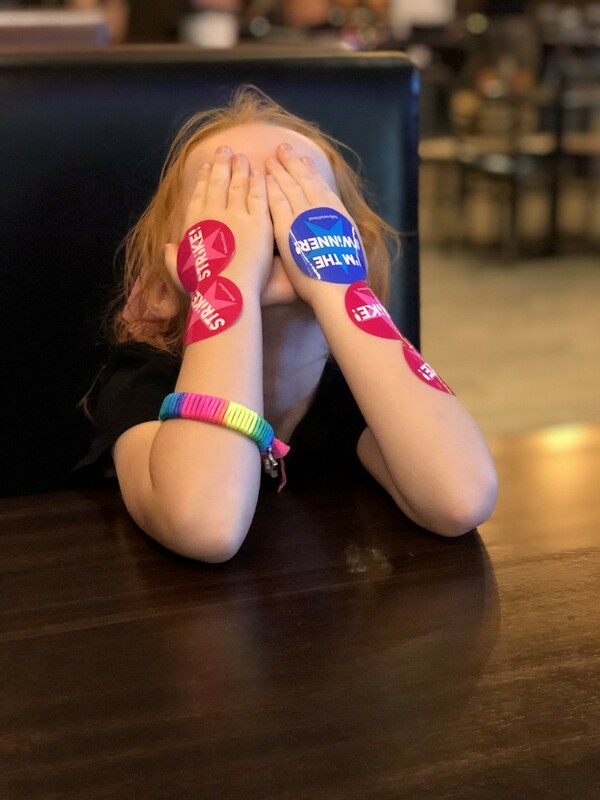 When you don’t win, stickers make everything seem better. And the winner was Tyler. There were a few strikes, a few half strikes and a lot of laughs. The staff were wonderful and helped with any issues and answered any questions we had. The even gave all the kids balloons too. After bowling, we headed to the diner for a spot of food. It looks great. I’d definitely head here for a night out, maybe with work or something. There are pool tables, lots of different types of cocktails and the food looked great. 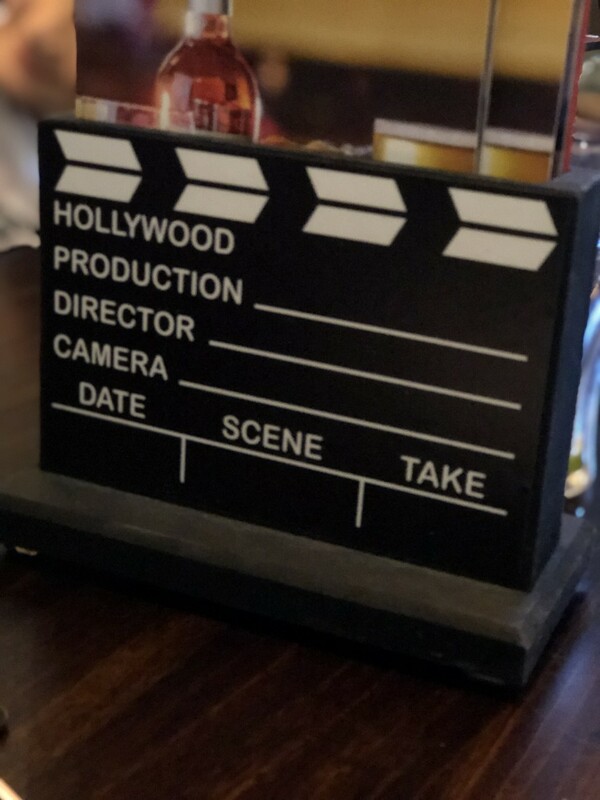 Following on with the Hollywood theme, the diner is kitted out to style. 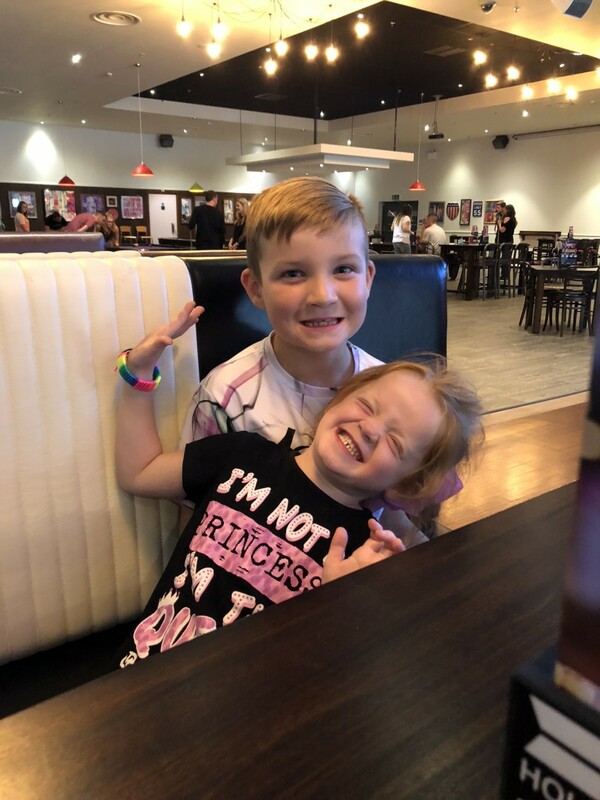 The food ranges from burgers to salads and there is a kids menu to suit everyone. They even do bunless burgers for those watching carbs or gluten-free diets like my husband. The pulled pork burger that Lucas ordered was very tasty. He loved it, although he did give me his salad. He likes to share that way. 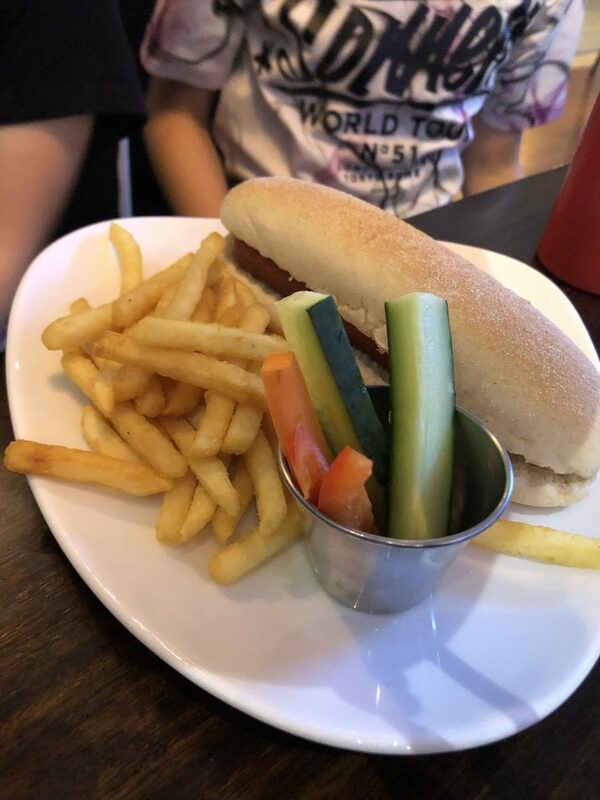 The kids hot dog was very impressive and both Aria and Tyler enjoyed there’s as well as the veggie sticks which was a nice addition. 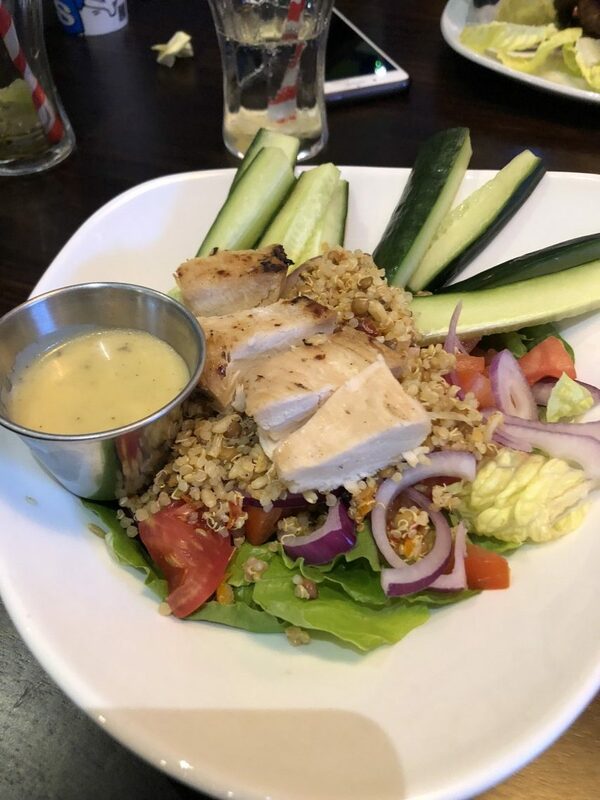 I had a delicious superfood salad which was very tasty and filling. 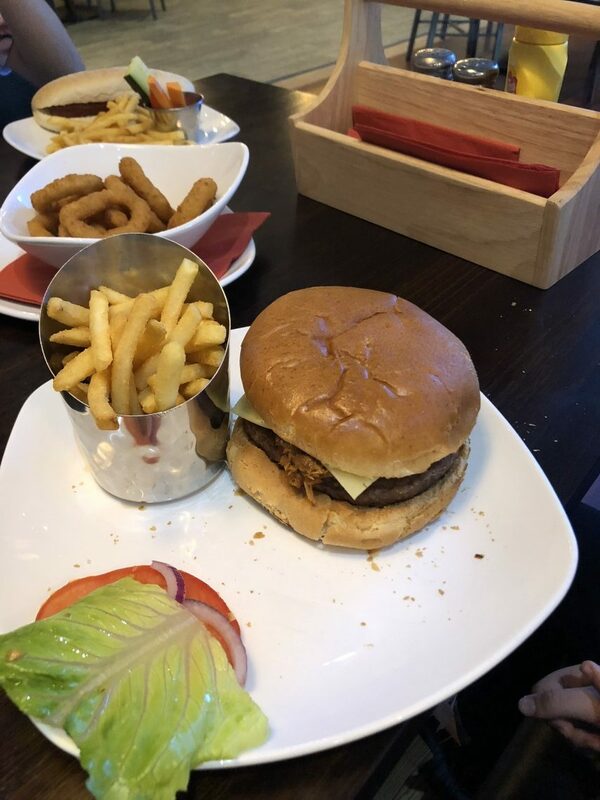 We all thoroughly enjoyed our meals and they were good value for money. As you can see these two had a great time. 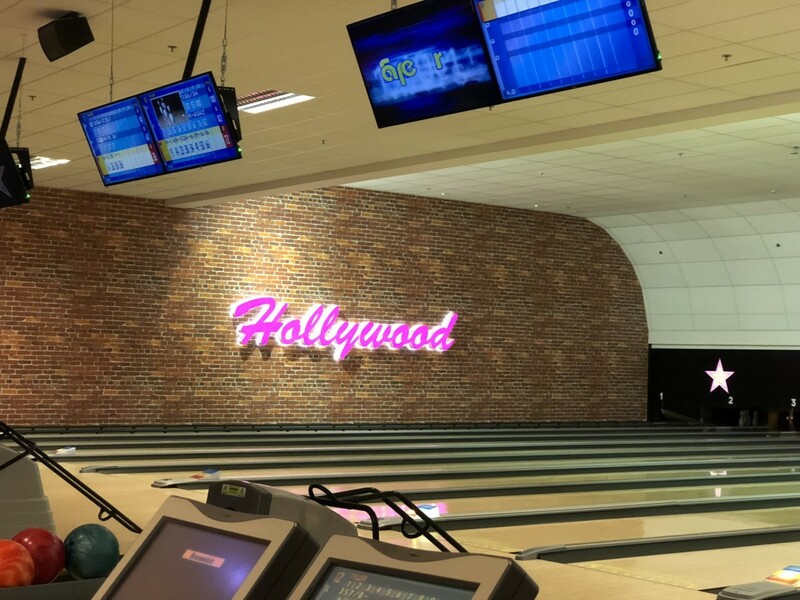 We would highly recommend you visit Hollywood Bowl in Dunfermline if you are in the area. The staff were fantastic, the place is great, it’s so much fun and we had the best time. We will be back again soon. 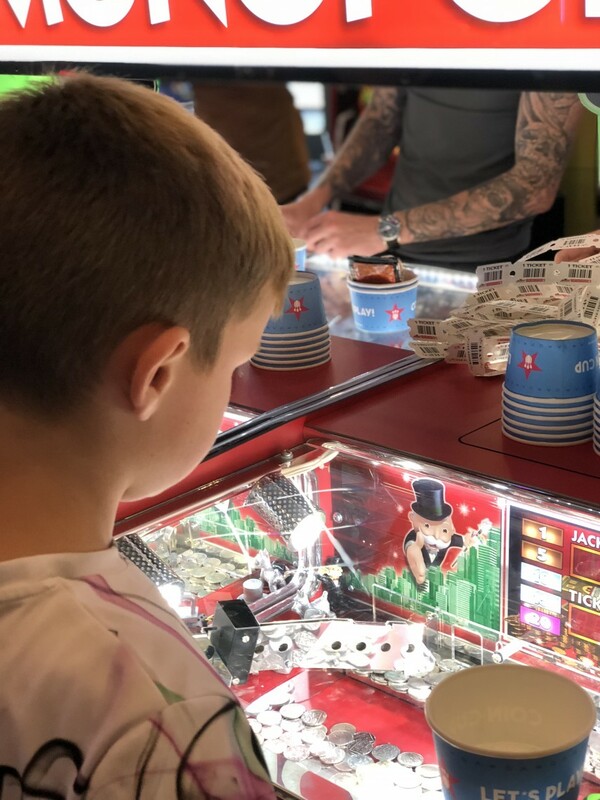 We finished off our day with a few shots on the arcade and slot-style machines. They aren’t in your face as much as they are elsewhere, but it was a nice way to finish it off. A wonderful day out was had by all. 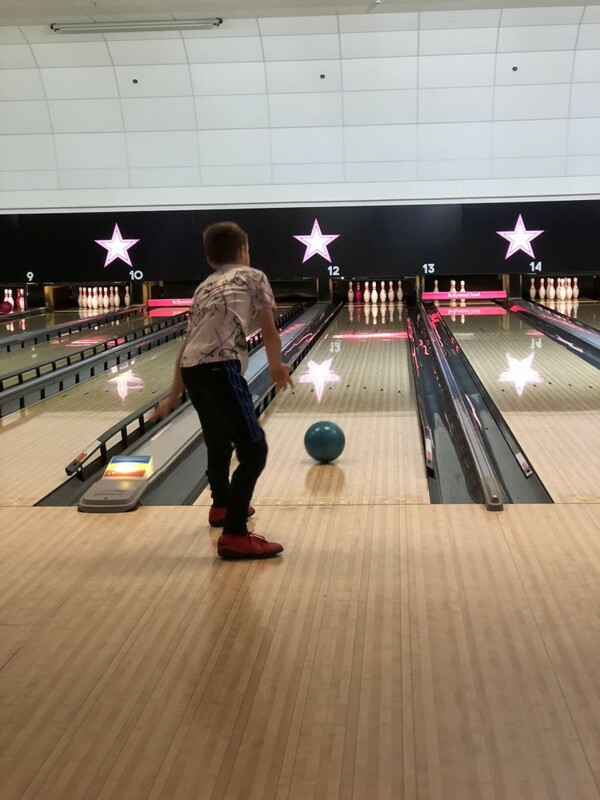 Disclaimer:- We were given a game of bowling and food for the purposes of this review. All opinions are my own.